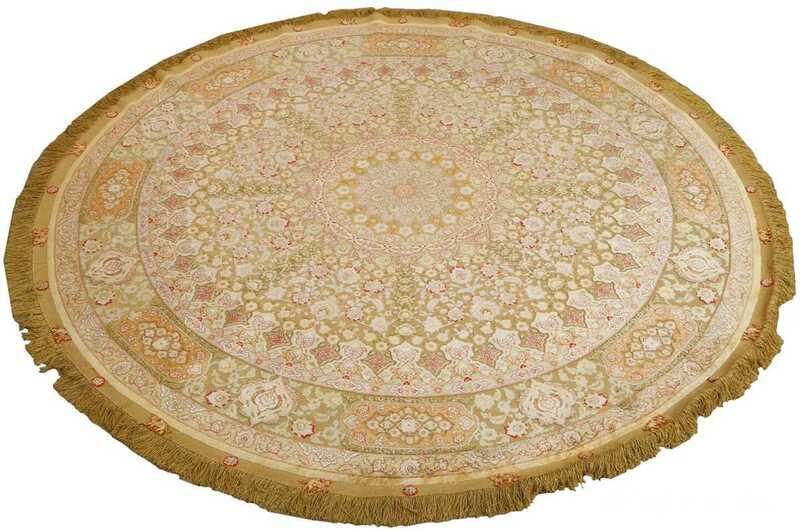 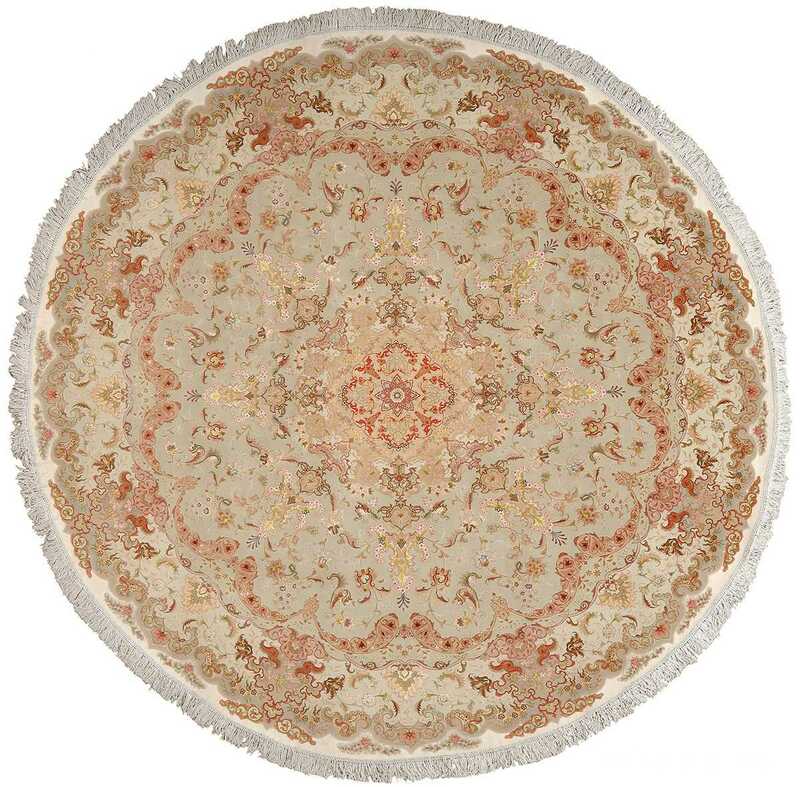 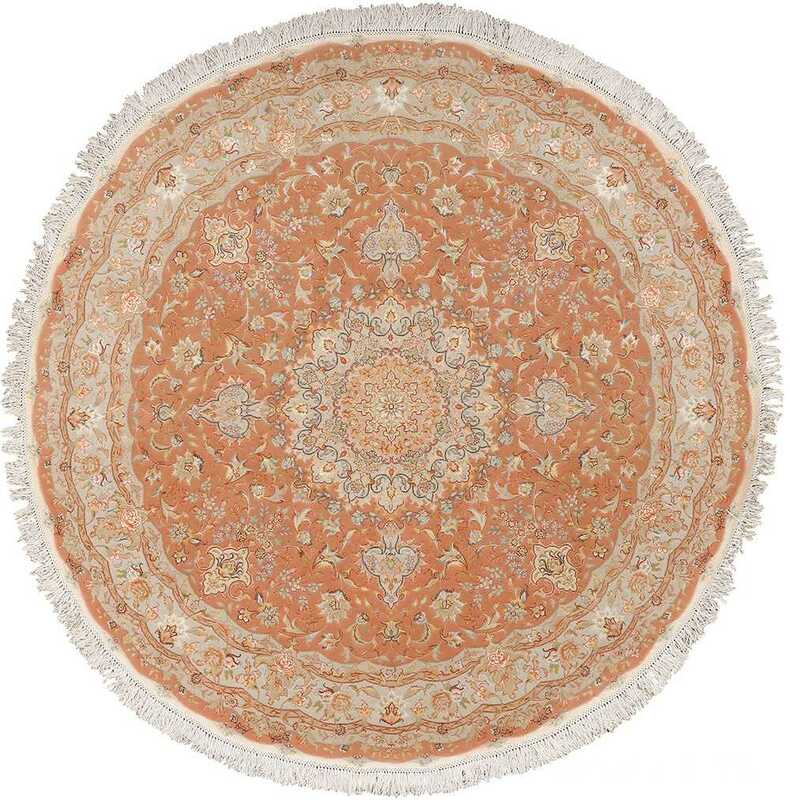 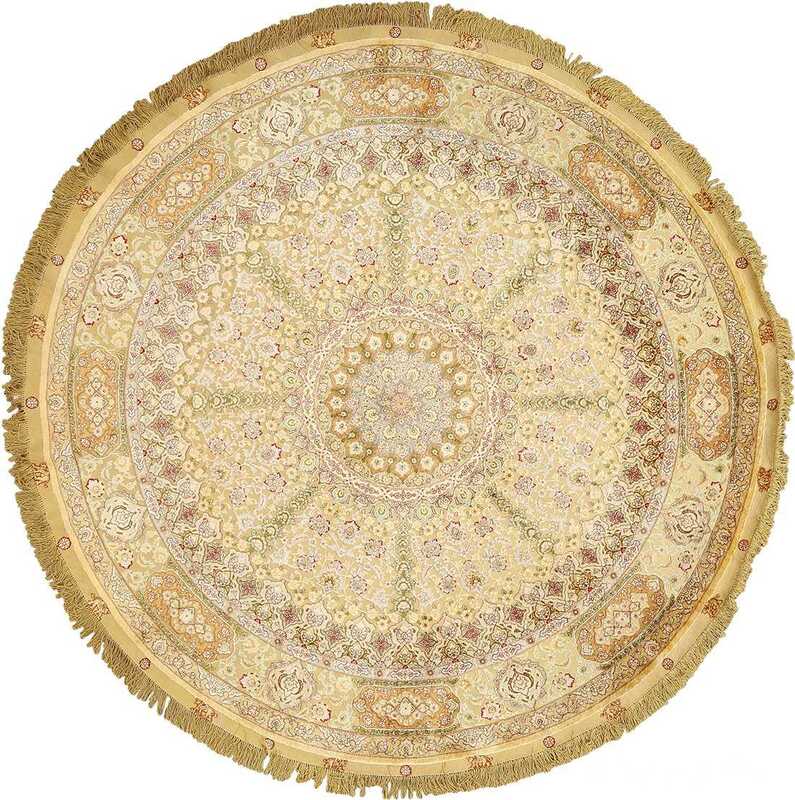 Magnificent Silk and Gold Threading Round Vintage Tabriz Persian Rug 51130, Knots Per Square Inch KPSI: 550, Country of Origin / Rug Type: Vintage Persian Rug, Circa Date: Late 20th Century – It is not uncommon for Tabriz rugs to break from the traditional rectangular configuration, and round rugs are known for their ability to draw attention to a specific section of a room’s interior design. 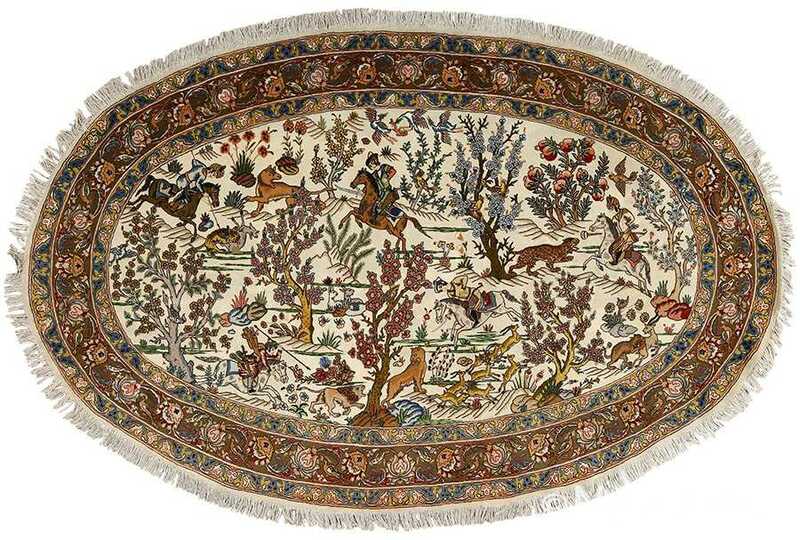 This vintage Persian Tabriz rug showcases classical Persian Tabriz rug motifs, including sharp pomegranates, exquisite blossoms and flowing fronds. All of these motifs come together to create a network of lines and shapes for the viewer to enjoy. 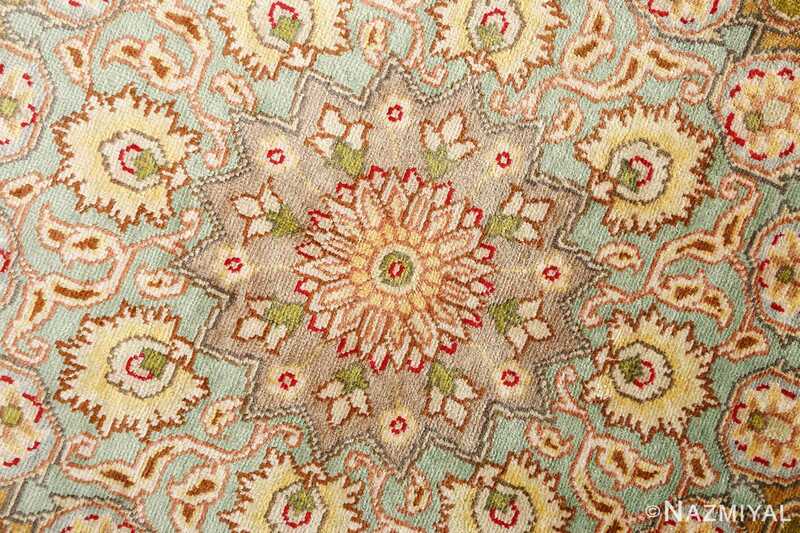 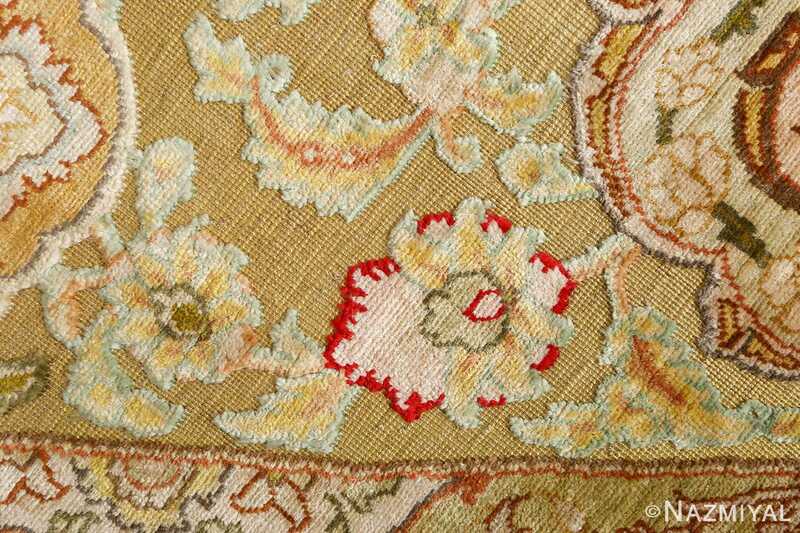 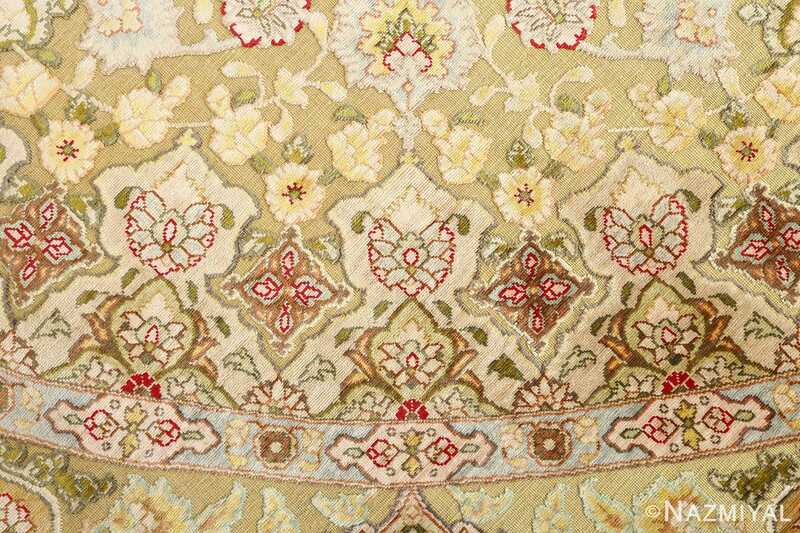 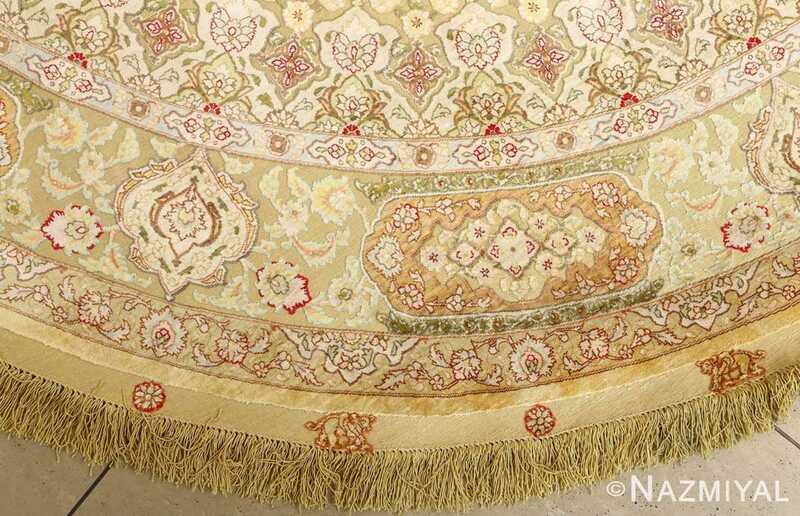 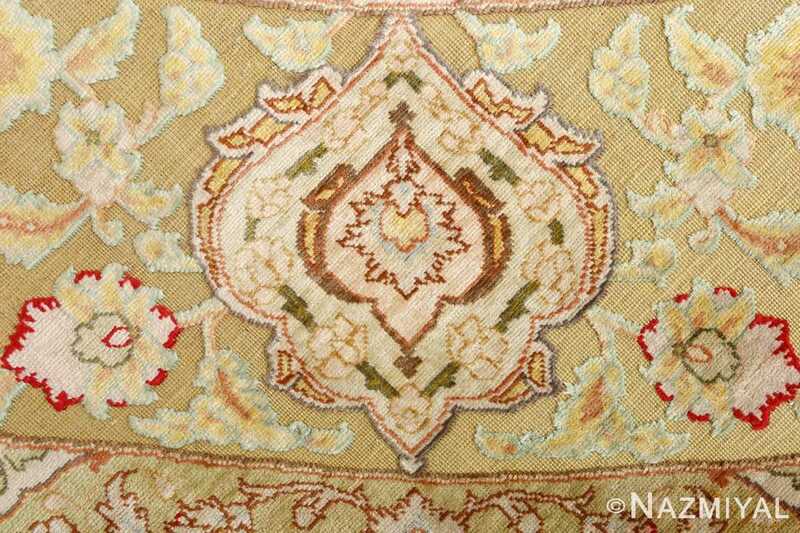 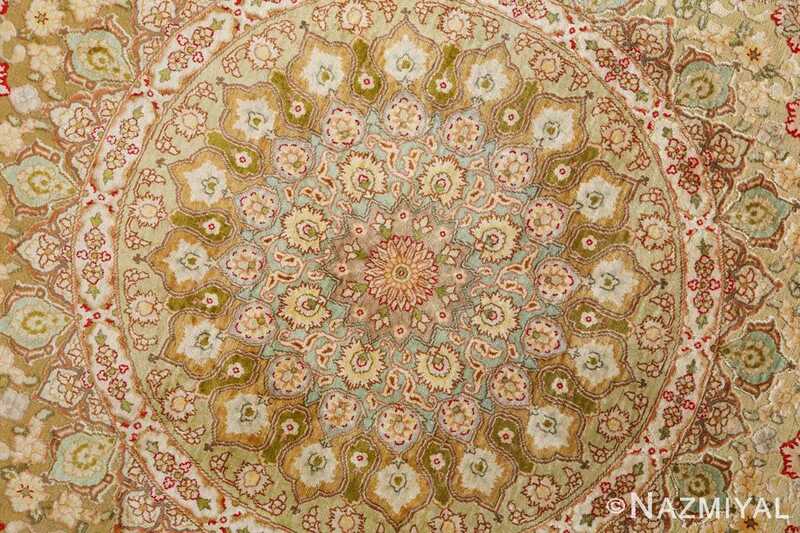 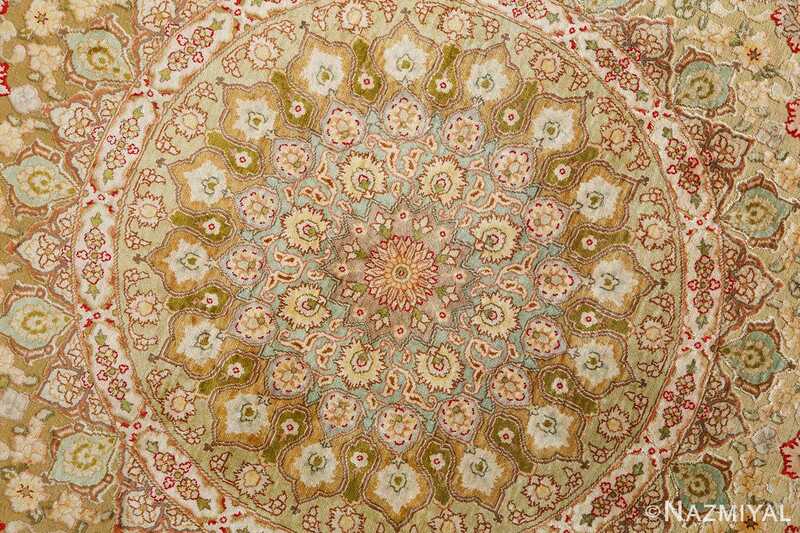 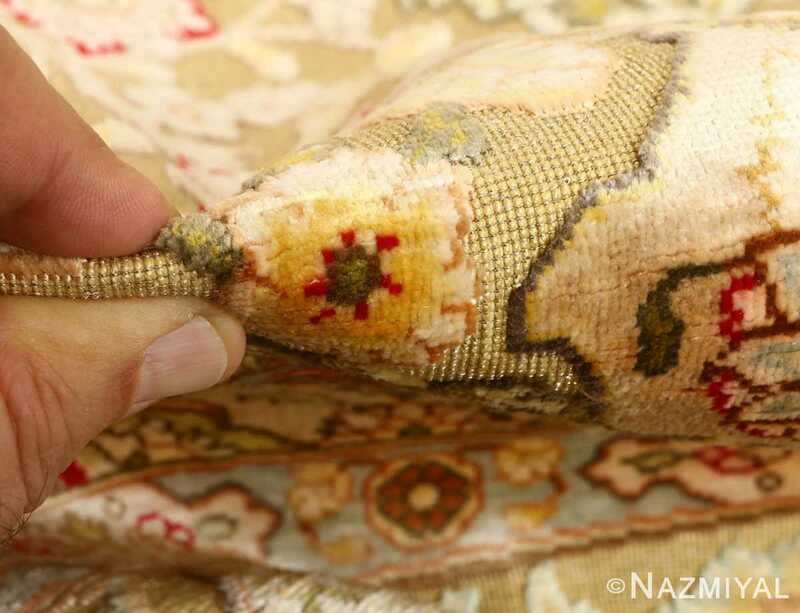 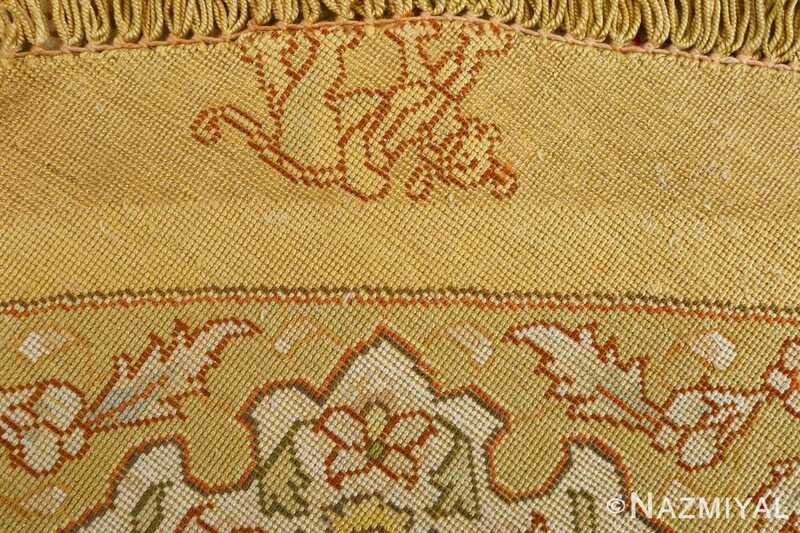 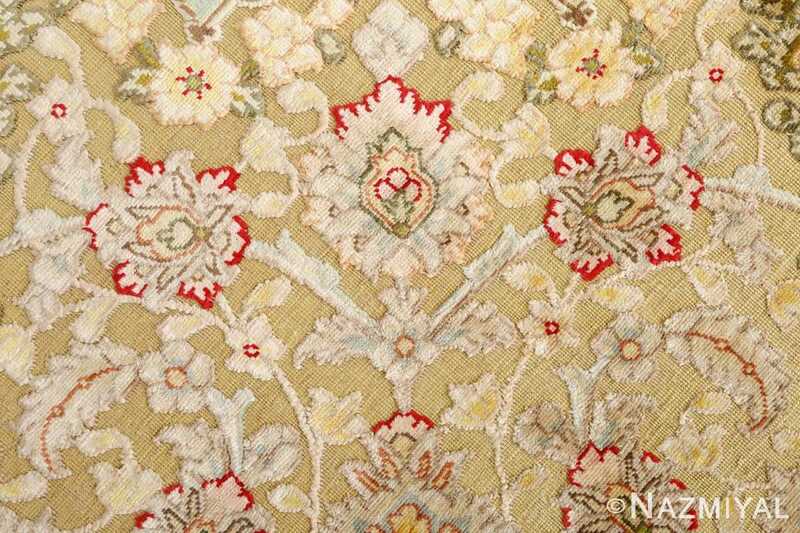 The foreground elements lead the viewer’s eyes from the edges of the vintage Persian rug to the center, while the colors chosen establish a rich and warm theme that invites the viewer to look closer at the details within.